Clear your calendar. The potatoes are ready. 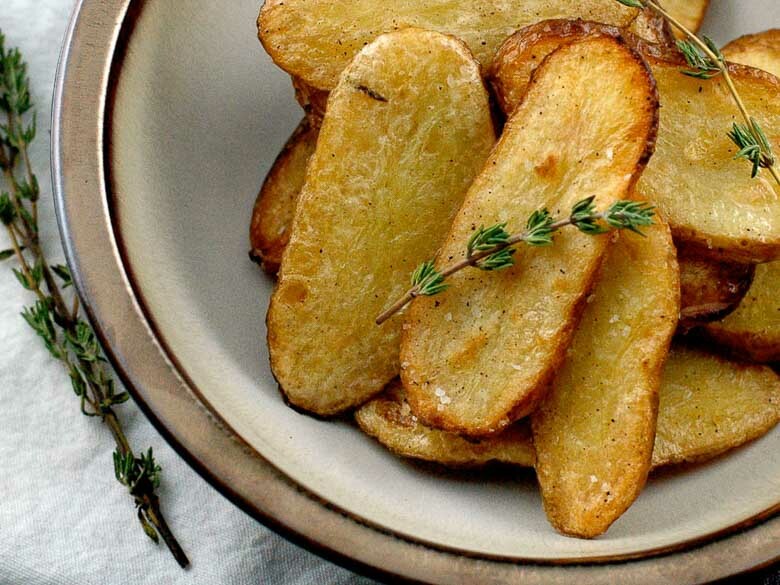 These salt and vinegar potatoes pack all the great flavors of your favorite potato chips, but in a juuuust slightly more civilized form that's perfect for snacking or as a side dish. Made with two cups of vinegar, these potatoes taste very tangy, which some people love. For a milder version that still packs a punch, use half vinegar, half water. Sometimes when I get too busy, I end up assigning a lot of tasks to my pretend intern. She is not super-effective. Sometimes I think her lack of effectiveness stems from my own carelessness in having hired the wrong Myers-Briggs personality type for the job. (She’s a total INFP.) Sometimes I think her lack of effectiveness stems from the fact that she is pretend. Either way, today she has only one thing to do. 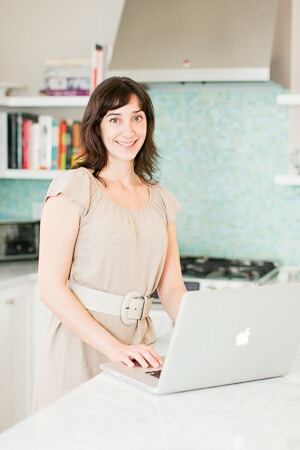 She is clearing my calendar so I can sit at home and eat potatoes. This isn’t the way the day was supposed to go. I woke up before six, because babies do not appreciate the subtleties of Daylight Savings. (They do not fall back, and they do not fall back to sleep.) I went to the gym. I did weighted walking lunges. This was not a day to mess with me. But since June I have had one of those irresistible little Martha Stewart Living pull-out recipe cards in my files. The kind with the dappled lighting they pretend is filtering through the trees and onto your perfectly adorned picnic table. The kind it is not a day to mess with. And that’s not all. Since July I have had a large bottle of white vinegar in the pantry. And since Sunday’s farmers’ market I have had several pounds of perfect little fingerling potatoes burning a hole in my concentration. Something had to give. Something gave. It was my schedule. If you're into salt and vinegar potatoes, you might also really like some of our other snack-inspired recipes, just sayin. 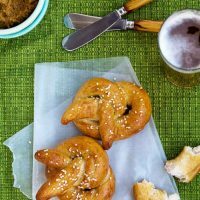 These soft pretzels are a dream come true for adults and kids alike, and way easier than you'd think. Chili Salt Edamame Like Mama Makes. Wagamama, that is. 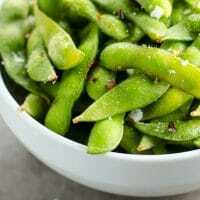 Just a few pantry ingredients amp up a bag of frozen edamame and make it something special. 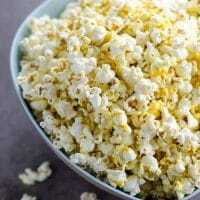 If you've never tried popcorn like this, don't miss out for another minute. 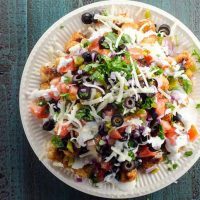 The name of these tater tot nachos says it all. Good, good, so ridiculously good. Salt and vinegar potatoes for one? The recipe below serves four in typical circumstances. Under certain conditions, however, it serves one. And that is all I plan to say about that. The original recipe calls for finishing these beauties on the grill. Since we’re headed toward colder days, I’ve broiled them instead, which worked out nicely (but feel free to grill them on medium-high heat for the same amount of time if you’re one of those types). I won’t lie—they’re a little intense. In fact, I’d guess that Myers-Briggs would classify them as an ESTJ. They could probably finish my chores in less than half the time my current intern takes. In both of these situations, intensity can be a very desirable characteristic, and I will definitely be hiring back these little extroverts in the near future. For example, at dinnertime. Cooked in 2 cups of vinegar, the potatoes taste very tangy (which some people love). For a milder version, try one cup white or malt vinegar and one cup water. Please be careful with your own fingerlings when slicing. The potatoes can be a little slippery. PLEASE NOTE: These are not potato chips, and they are not meant to get super-crispy. 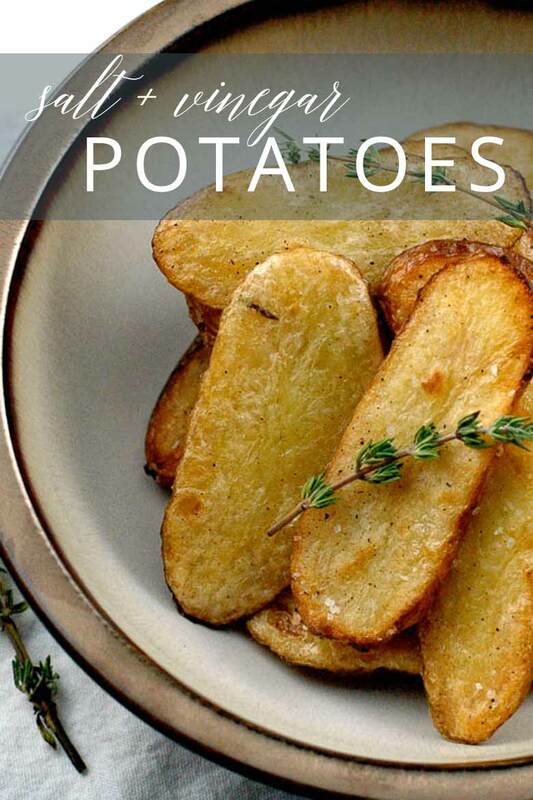 They're essentially very flavorful roasted potatoes. In a small pot, combine the potato slices and vinegar. Bring to a boil, then lower the heat and simmer until fork-tender, about 8 minutes. Let cool in liquid for 30 minutes. Then drain well and pat potatoes dry with paper towels. Preheat the broiler with a rack about 6 inches below the heat source. Dump the potato slices onto a sheet pan, sprinkle very generously with olive oil, salt and pepper, and toss to coat. Arrange the potato slices in a single layer. Broil until lightly browned on top, about 7 minutes. Then flip the slices and broil until the underside is lightly browned, about 5 minutes more. Serve warm. You can substitute regular waxy potatoes such as Yukon Gold. Adapted from Martha Stewart Living, June, 2009.